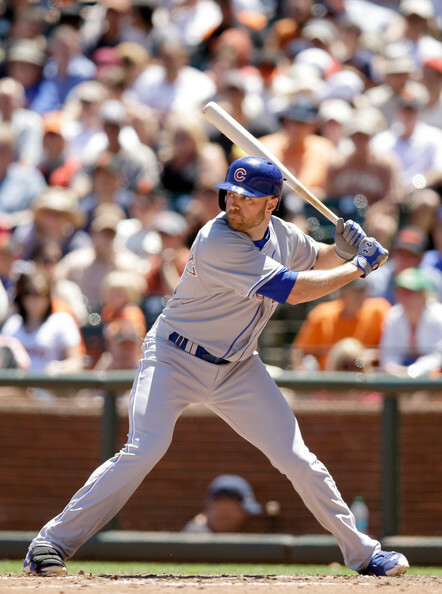 Nate Schierholtz prepares a swing against San Francisco earlier this week. Check out Kevin’s daily baseball betting picks on NorthSideWire. It was another poor week at the plate for the Chicago Cubs, who have dropped three in a row and stand at 19-33 overall entering Saturday. During the recent three game skid, the Cubs plated just five runs, and unfortunately an inability to score and have the occasional “big inning” has really plagued their offense this season. Even still, there were a few bright spots worth mentioning. Luis Valbuena has really improved his patience at the plate this season, and it shows in his .435 on-base percentage this week and .384 mark for the season. The left-handed batting utility infielder is drawing walks in almost 17 percent of his at bats, which is quite the improvement when compared to his career mark of roughly 10 percent and has translated to an on-base percentage nearly 70 points higher than his career average. For a team that doesn’t show a whole lot of patience and has a tough time scoring, Valbuena’s stats here — while perhaps a little “boring” and non-flashy — is just what the Cubs need more of at the plate. Outfielder Nate Schierholtz, who came out of the gate slow this season, has been swinging a much better bat lately. Schierholtz is showing a little pop, too, with his two home runs in his last 23 plate appearances, good for a .571 slugging percentage during that time. Quite the opposite of Valbuena, Schierholtz does struggle a bit with his patience, rarely drawing walks and with just a .269 OBP for the year to show for it. If he can somehow improve on that number slightly, we could see Schierholtz’s trade value rise in July, which would have to delight Theo Epstein, Jed Hoyer and company. On the bump, starter Jake Arrieta has looked solid in his past two starts, sporting a 3.75 ERA over 12 innings. Even with the unfortunate luck that he’s currently allowing a .365 batting average on balls in play — much higher than his career .289 mark — he’s keeping runs off the board, and there’s something to be said for that. Helping his cause is a really impressive strikeouts per nine innings mark of 9.24. To put that into perspective, Stephen Strasburg leads the majors in this category with a 10.9 figure. Not too bad, Jake. As for starter Jeff Samardzija, well, the long awaited first win of the season wait is now over for the Cubs’ ace after taking “just” 11 games. Ironically, the win came at San Francisco, who owns the MLB’s best record at 36-19. The Shark allowed three earned runs and six hits over seven innings en route to win number one. Just a few days earlier, Samardzija twisted up a great performance at home against the Yankees, allowing no runs on four hits, but the Cubs managed to squander that lead in the 9th and eventually lose it in extra innings. As for bullpen performances, reliever Justin Grimm has shown some promise of late. 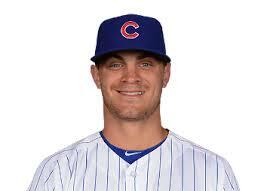 The 25-year-old right-hander has a 10.57 K/9 inning mark and a 2.74 ERA. Not overly impressive ERA for a reliever, but when compared with the other bullpen help, he’s been “golden.” Control is still an issue for Grimm, as is evidenced by his average of allowing just over five walks per nine innings, but if he continues to strike out batters and keep the ball in the yard, he could further improve on his effectiveness.